The possibility of San Franciscans having to go without Ike's dirty sauce permanently looked all too real a few months ago. 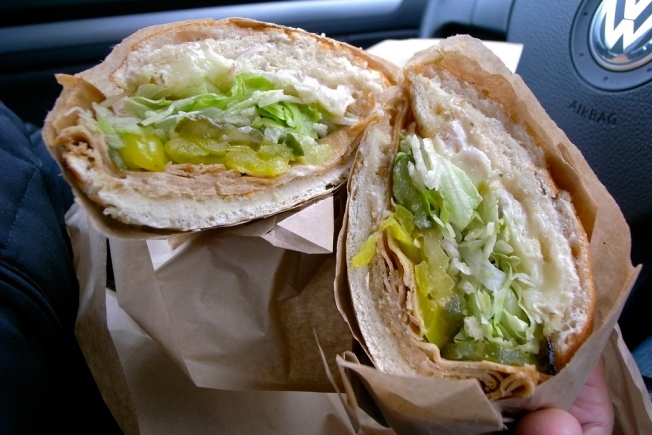 But a resurrection in a neighboring restaurant opened the door for more good things to come for Ike's in the City. Now with a new outpost at San Francisco State University and a main branch on 16th Street not set to open until the end of January and its current agreement to operate out of Lime ending this week, there was a real possibility that San Francisco would have to go without the sandwiches with a cult following. But our friends at Eater SF report that tasty disaster has been avoided. The owner of the sandwich shop, Ike Shehadeh has extended his agreement to operate out of Lime through the end of January. And he will be open on New Year's Eve and day.